The charred remains of copy editor Chirag Patel were found in a suburb of Ahmedabad on March 16. Five days after journalist Chirag Patel was found dead in a suburb in Ahmedabad on March 16, the Gujarat police were still looking for leads to determine whether his death was a case of suicide or murder. However, even as political leaders from the Opposition described the case as a “brutal murder”, and journalists in Ahmedabad held a candlelight march on March 19 demanding “justice for Chirag”, an investigating officer in the case told Scroll.in that Patel’s death was likely to have been a suicide. 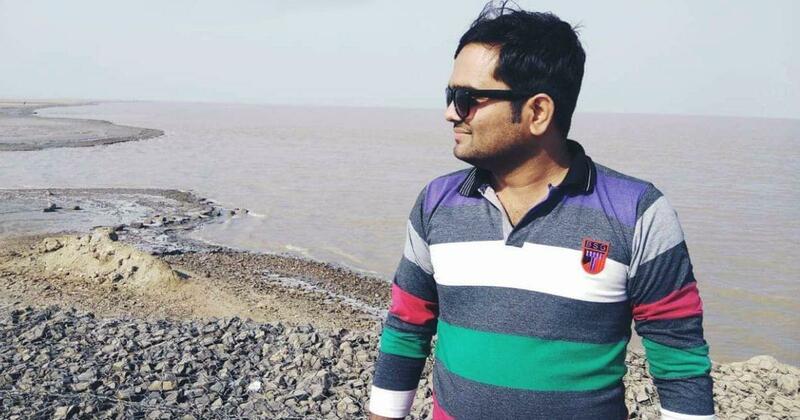 The police found the charred remains of Patel, a 26-year-old copy editor working at television news channel TV9 Gujarati, on the evening of March 16. Patel had left home the previous day and had been reported missing. Patel’s body was found among trees in a scarcely populated neighbourhood of Ahmedabad. His phone was not with him and the device has still not been found. Three days into the investigation of the case, when the police had not yet established the cause of death, political leaders in the state began to insinuate that he had been murdered and blamed the police and state government for not doing enough to get to the bottom of the case. 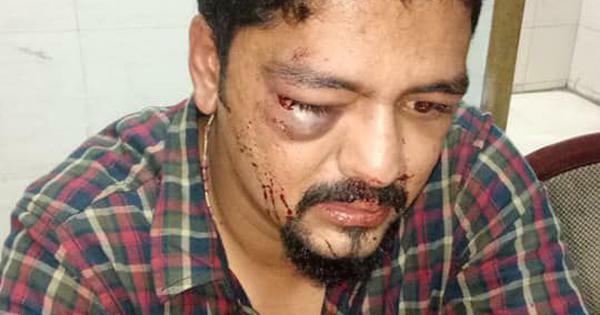 In a tweet on March 19, Gujarat Congress in-charge and parliamentarian Rajeev Satav claimed he was shocked by the brutal killing of a member of the press. Independent legislator Jignesh Mevani also blamed the police for not making any arrests in the case “even three days after his brutal murder”. Gujarati television media has also been describing the case as a murder. On Tuesday night, dozens of local journalists organised a candlelight vigil calling for justice for their deceased colleague. When Scroll.in spoke to deputy commissioner of police Akshayraj Makwana, who is one of the six investigating officers in the case, he said that the police are now increasingly of the opinion that Patel’s death was a suicide. Makwana claimed that the police were now waiting for the forensic examination report, expected by the end of the week, before confirming whether Patel died by his own hand. “Since he was a journalist, the media is constantly asking for justice in this case, even though it looks like it was probably a suicide,” he said. 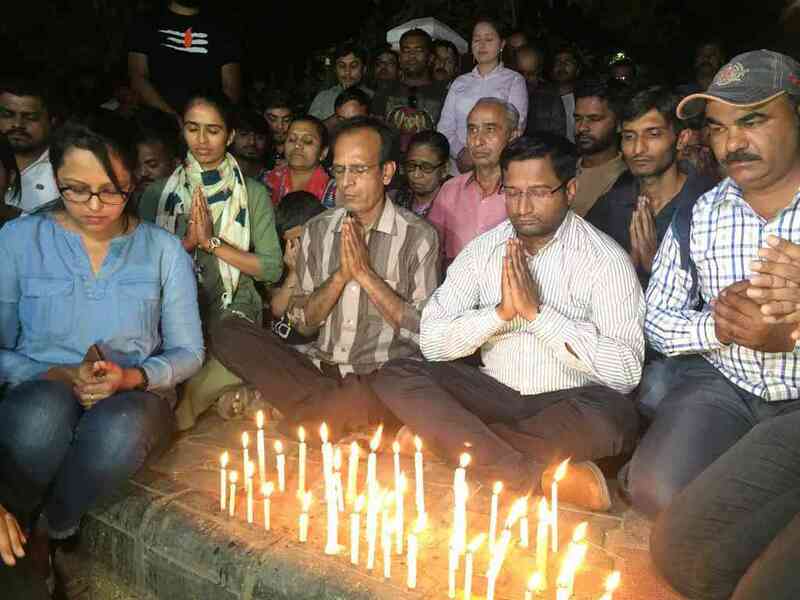 Journalists at a candlelight vigil for Chirag Patel on March 19. (Photo courtesy: Sagar Patel). As a copy editor for a news channel, Patel was not directly involved in field reportage. However, journalists in Ahmedabad said that Patel had often filed queries to government agencies under the Right to Information Act. “He had recently filed RTIs to inquire about the amount of government funds MPs had received in his own constituency and in Kheda constituency, and what that money had been used for,” said Sagar Patel, a local reporter who attended the candlelight vigil.